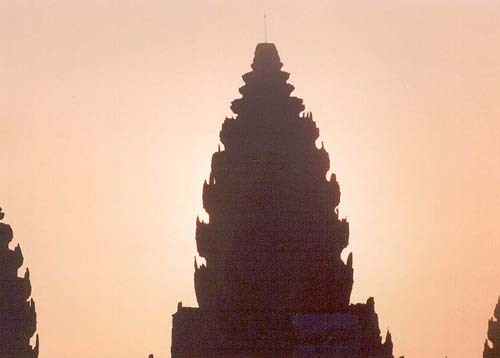 "Stones in the Sky II", has been linked in Traveller's Tales on the Angkor.com web site. Suppose one day you woke up from a dream of wanting to visit one of the most magnificent temples in the world which was undiscovered by anyone. The temple of Beng Mealea in Cambodia would come close to satisfying that dream. 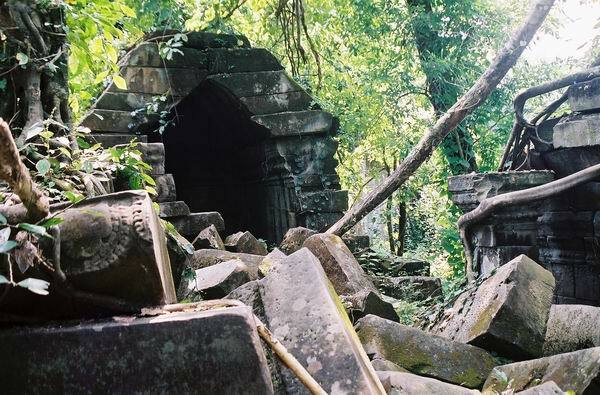 Beng Mealea is deep in the Cambodian jungle, and you have to be careful when you go there because there still could be a landmine hidden somewhere underneath the ground cover. There is also one other caution and that is Beng Mealea is completely smothered by the jungle and is in ruins. To walk through the temple ruins requires an experienced guide and a high degree of agility to climb over all the slippery moss covered stones lying everywhere. I know this to be true because I went to Beng Mealea and what I found was more astonishing than anything I could ever imagine. But before I continue with my story I would like to share what two other authors have said about Beng Mealea. Robert Casey made the comment in his 1929 publication "Four Faces of Siva: The detective story of a vanished race" about what a traveler would see visiting Beng Mealea. "In the end he will see a sight that the gods looked upon when they decided to breath a soul into the people of the Khmer. Beng Mealea is worth the visit. It is something more than a kingly city. 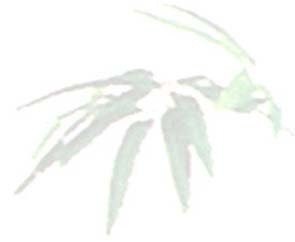 It is the crystal cavern of the naga monarch. It is the hall of the wonder-workers out of which came the djinns of the lamp to toss up the towers of Angkor and to write in scrolls of gold the culture of Cambodia"
George Groslier, an early 20th century French archaeologist, made this comment in 1916 in his book "Al'Ombre d'Angkor (In the Shadows of Angkor). "There emanates from Beng Mealea a harmony, powerful and sober, which permits to place this temple first among the first and to consider it the prototype, the classic and purified specimen of Khmer art". These comments beg that we give Beng Mealea more than a passing consideration for it's significance in our over all understanding of the importance of the Khmer temples and the empire for which they served. 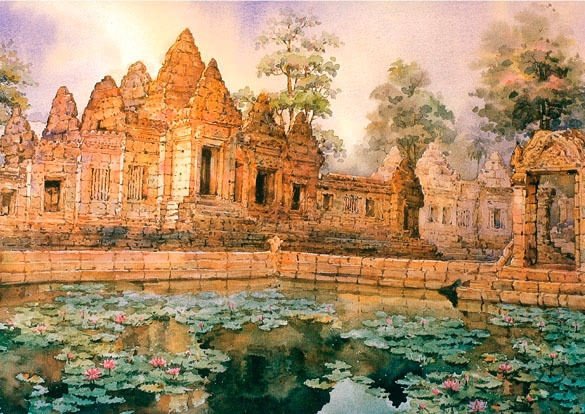 The empire of the Khmers was reaching its zenith as a culture in 1200AD. It has been estimated that over three million people may of inhabited the Angkorean capital during this period. Also by this time hundreds if not thousands of monuments had been built throughout the empire and the pinnacle of architectural expression was fully developed and flourishing. 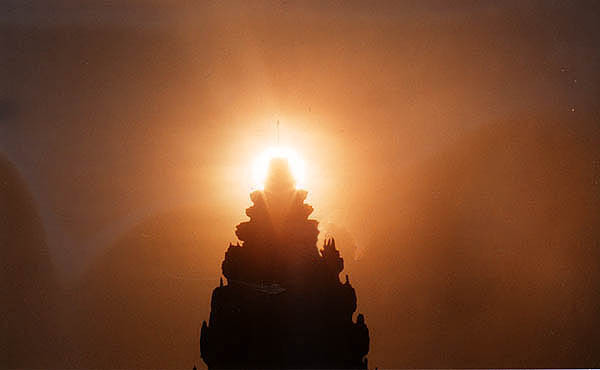 Sacred pilgrimages were a routine occurance to temples such as Preah Vihear, Wat Phu, and Pimai to only mention a few. Great highways and bridges were constructed linking each temple to the next. This was indeed a grand civilization. 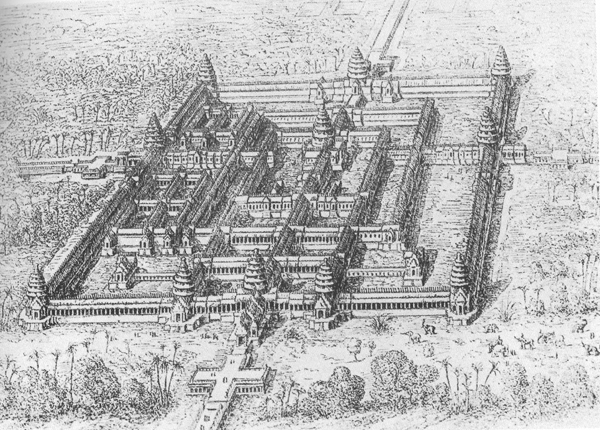 The Khmer Kings continued to enlarge their kingdom, and when Angkor Wat was completed it stood in the Khmer kingdom, as it does in the early 21st century, as the largest religious monument in the world. Angkor Wat was truly the most amazing expression of the beliefs and understandings of the seat of rule by the Khmer Kings. But why did King Suryarvarman II set out to build the 2nd largest temple in the Khmer Kingdom 60 km East of the Angkorean center? Any number of reasons can be offered in addressing this question. 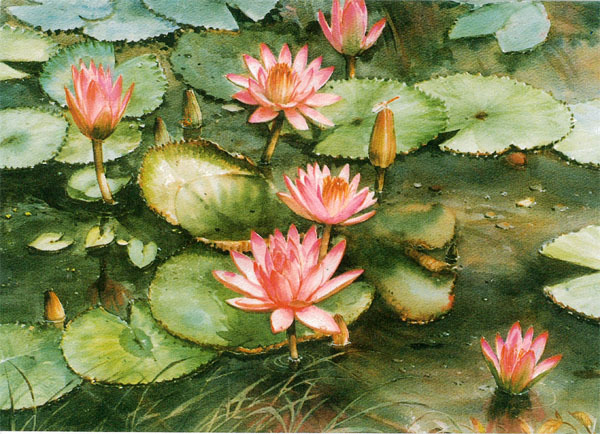 The new temple was going to be called "Lotus Pond" or as we know it today, Beng Mealea. In order to get some sense of the importance for the location of Beng Mealea we need to look at the origins of the Khmer empire. The declaration of independence for the Khmer empire took place in the year 802AD by King Jayavarman II. Jayavarman II was the 1st soveriegn and was also the cakravartin "God of the Royalty, of the Kingdom", also known as the "kamrateng jagat ta rajya". Jayavarman II began the "devaraja" cult on top of Mount Mahendra (Indra) on the Kulen Mountains in Cambodia, which became the capital city of Mahendraparavata for this supreme government in Kambuja (ancient Cambodia). As mentioned, King Suryavarman II, who reigned from 1130 - 1150AD is attributed with the construction of Beng Mealea at the far eastern end of the Kulen Mountains. His minister and chief priest, a sivaite purohita and eminent brahman, was Divakarapandita. It was this priest who presided over the constuction of two new gopuras at Preah Vihear as well as additions to Wat Phu not to mention the initial construction phase of Angkor Wat. King Suryavarman II was also a "kamrateng jagat ta rajya", a "God of Royalty, of his kingdom" and continued the "devaraja' cult with his chief priest Divakarapandita and the dynasty of Mahidharapura with all the temples using the sivaic forms. After King Suryavarman II died his posthumus name was paramavishnuloka. King Suryavarman II was truly the great builder King of the Khmer Empire noted also for the construction of Preah Pithu, Chausay Tevoda, Thommanon, Banteay Samré and Preah Khan de Kompong svai. The controversy surrounding King Suryavarman II was whether he had Beng Mealea built before of after Angkor Wat. 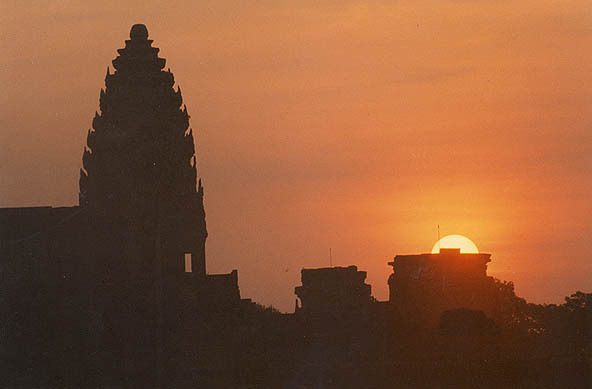 The noted Khmer historian Lawrence Palmer Briggs claims it was built before Angkor Wat. However, recent research done by Phlong Pisith, who did a BA dessertation at the Royal University of Phnom Penh on the Archaeology at Beng Mealea, claims it was built after Angkor Wat. Pisith's reasoning was based on a comparative study of arts and decoration, and construction techniques. Today Beng Mealea is not on a tourist destination route. It is true that it is mentioned in most tour books, but the temple itself is very far from Angkor Wat, and of this writing it is only accessible by a dirt road which travels along the base of the Kulen Mountains. Even in the beginning of the 21st century you will only encounter ox carts slowly moving along the dirt road to Beng Mealea with a few thatched covered huts along the way. As you near Beng Mealea the vast countryside looms in every direction with only the Kulen Mountain range peering over your shoulders. As you slowly approach the village of Beng Mealea everything is extremely quiet with the exception of the birds chanting exotic melodies. The forest becomes significantly more dense as you come upon a sole surviving naga head propped up at the entrance of a small bridge guarding the road into Beng Mealea.